The city of Bad Nauheim is located at the foot of the Taunus mountain range in Germany's Wetterau district. The Celts and Romans had already recognised the medicinal value of its waters but it was not until 1835 that it was converted into a modern spa town, following new hygiene trends that were dominating German medicine. 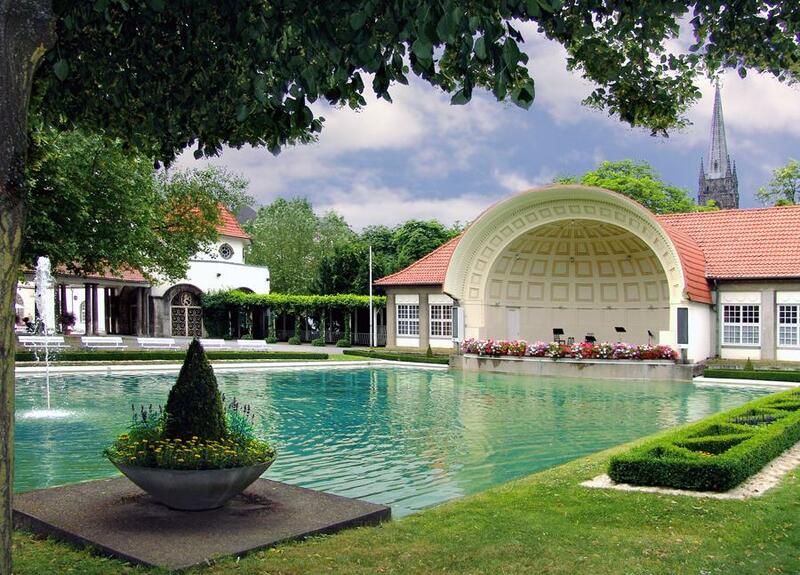 Bad Nauheim belonged to the Grand Duchy of Hessen and by Rhine and at the beginning of the 20th century, Grand Duke Ernst Ludwig, a cultured and refined man who began an artists' colony at Mathildenhöhe in Darmstadt, completely redesigned the spa complex. Bad Nauheim became one of the most prestigious spa towns in Europe and people went there not only for medical reasons but also because it had become one of the centres where the aristocracy and high bourgeoisie gathered socially. The architect Wilhelm Jost, the government's architectural inspector (Grossherzoglicher Regiunginspektor), designed the spa's various buildings, with valuable contributions by a number of Mathildenhöhe artists. 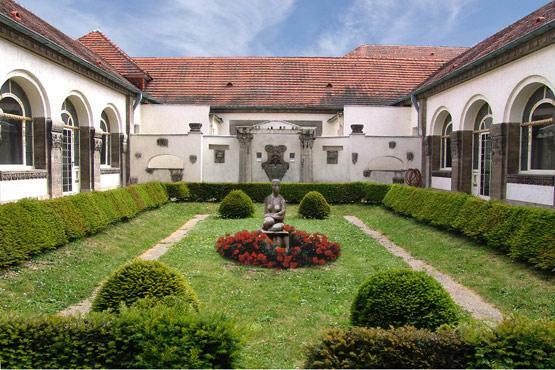 The Grand Duke invited the following artists to participate in the project: the sculptors Heinrich Jobst and Karl Huber, the ceramicist Jakob Julius Scharvogel, and the painters Johann Josef Belz and Friedrich Wilhelm Kleukens, amongst others. 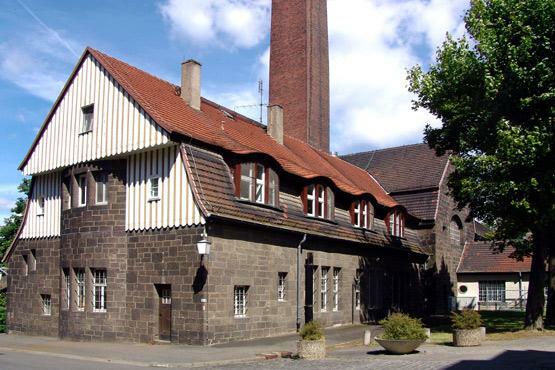 The same work methods of Darmstadt were also applied in Bad Nauheim, in a search for a synthesis between functionalism and design. The spa's central area is Sprudelhof, or fountain square, and its surrounding buildings, which were all designed according to a project by Wilhelm Jost between 1905 and 1911. The square is located in the centre of a main axis and is directly linked to the station. There are three fountains in the middle of the square, designed by Heinrich Jobst, and six bathhouses, three on each side, are arranged symmetrically around it. Each bathhouse has a grand entrance from which long corridors extend from end to end, with bath chambers along each corridor. The last bathhouse that was built, number 7, dates back to 1909 and already displays a trend towards design simplicity, which was a prelude to the works of architects and designers of the Modern Movement. 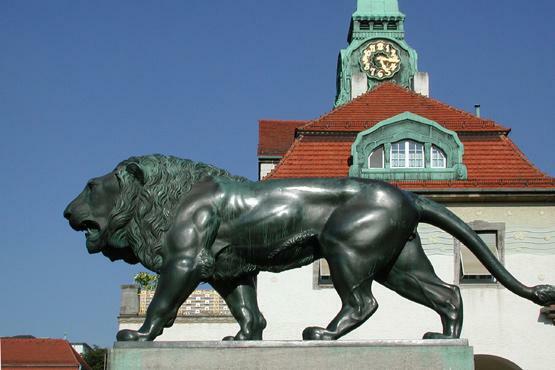 But beyond its excellent urban layout and the quality of its architectural design, the value of Bad Nauheim resides in the fact that it has become one of the places in which Jugendstil attained one of its main objectives: to achieve a synthesis of all the arts.